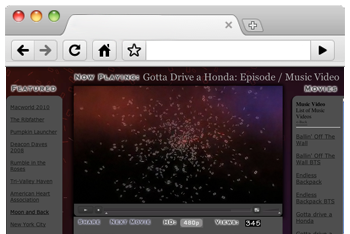 Watch Now – Built from the ground up, this site is used to showcase movies from Metahelion and more. 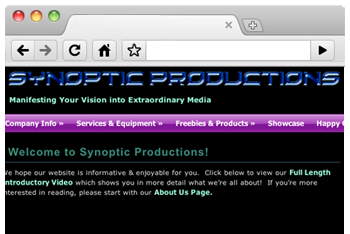 Synoptic Productions – This company hompage was built for Lloyd Minthorne’s company in Novato, CA. 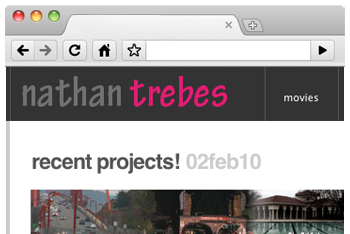 Nathan Trebes Pro – Nathan’s Portfolio site, used to showcase his Demo Reel and Resume. 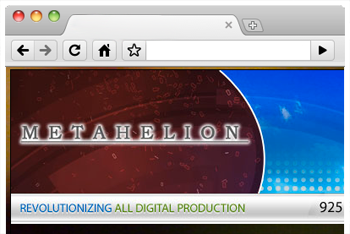 Private Review – This group of sites serves as a private area for Metahelion’s clients to preview work. 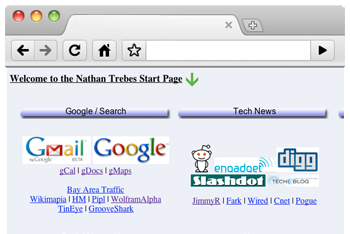 Nathan Start – This page serves as a starting point for industry links. 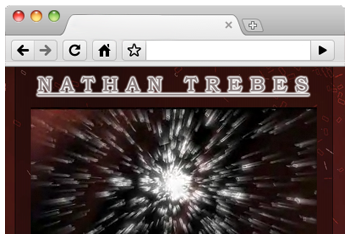 Nathan’s Blog – Nathan’s web portal and blog. 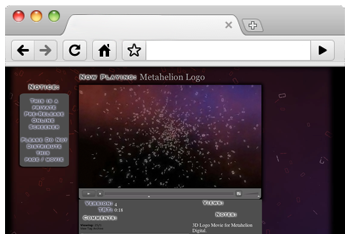 Movie Homepages – Homepages for Metahelion Digital movies. 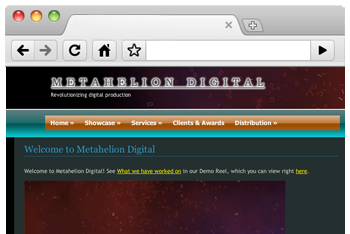 Metahelion Digital – Company Homepage for Metahelion Digital. 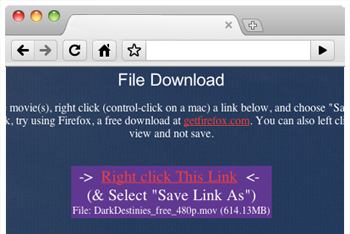 Grab – Site used for clients of Metahelion to grab projects and files. PHP support by Matthew Trevett.